Make money by paying tolls? If you are self-employed or travel for business (not commuting) the IRS will allow you to deduct 55.5 cents a mile. The only trick is you need to track the business miles you drive and be able to produce a detailed log for your return. I have a whacky product idea that will make it brain-dead-simple for people to generate a mileage log at tax time. If I see enough interest it may push me to actually finish building it. Before his morning when I read GeekWire’s Todd Bishop exclaim that he’s happy about the tolls I hadn’t considered how SR520 users might be customers of my product idea. 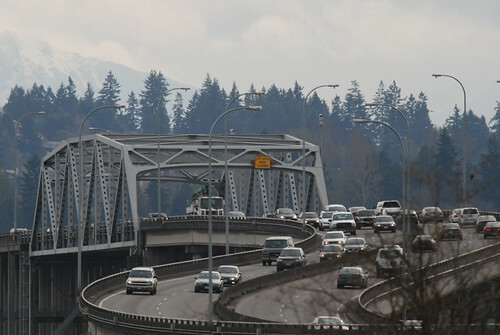 If the SR520 tolls could really be $1600/year that might incent people to start tracking their miles…and I might have a bunch of customers here in my own back yard. Let’s say your home office is in Ravena and you regularly drive to Microsoft’s main campus. You drive about 14 miles each way, for 28 a day. The IRS will provide you a $15.54 deduction for that. If you travel the 520 at the peak times the Good To Go! fees will be $5.60 (assuming you have a Good To Go pass). Thus my idea will actually MAKE commuters money! Of course if this actually works then I will make money too. Hence the title of this post is actually a double entendre. I’m not yet disclosing how my idea will work, but the goal is for it to work without requiring users to enter any new data or use a special device. I’ve got most of the proof of concept running and simply (ha!) need to get it to MVP stage to really prove it out. I’m looking for a developer to help me out (for non-cash compensation) so if you are an ASP.NET & jQuery/CSS developer and want to get in on this let me know (charlie (at) boguslabs.com). Go to http://www.milelogr.com to register your interest. In addition provide a comment below with your thoughts on whether this interests you or not.